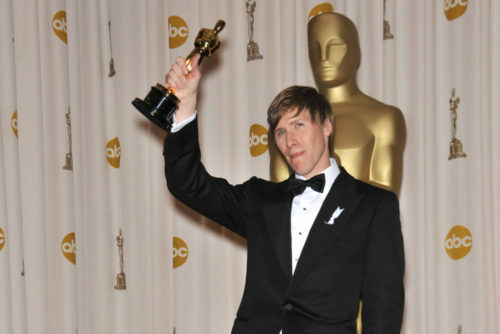 Dustin Lance Black’s trip to Australia took an unexpected twist when the award winning screenwriter and activist was stopped and accused of shoplifting at a Woolworths grocery store in the Gold Coast. Black took to Twitter immediately following the encounter, tweeting that he was stopped and had his bag checked. After one of his followers asked Black if he’d received an apology from the chain or store personnel, Black responded that he hadn’t. “No apology at all. Just an accusatory zombielike look in their eyes,” he said. After other users responded, Black continued to discuss the ordeal on Twitter, warning tourists to avoid the store. “But any kidding aside, I do suggest folks avoid this odd place. It was very aggressive and strange,” he wrote to one person. “Vile way to treat people,” he told another. So far the store has yet to apologize to Black, who is in the country as his husband, Olympic swimmer Tom Daley. So targeting & treating people as criminals for absolutely no reason & w/ no explanation (even when asked), chasing them down as they leave the store (after having made a purchase) & accusing them of a crime is the norm in AU or just @woolworths? 🤔 Vile way to treat people.